Betsy Diamant-Cohen and I have been working on ideas for a collaboration between LittleeLit.com and Mother Goose on the Loose. We’re going to be offering trainings for what we’re calling Goose 2.0; incorporating digital media into Mother Goose on the Loose programs. Here is a description; contact me if you’re interested in this training for your library system, conference, staff development day or childcare centre. Now that digital media is more omnipresent in most homes, storytellers, children’s librarians and community leaders are now working toward developing practices that guide parents in healthy media behaviors for families that include young children. MGOL is an ideal framework to begin a respectful, non-judgemental dialogue with parents and caregivers about media consumption with young children. We can address the new challenges of screen time with very young children and support parents in their quest to provide the very best learning opportunities for their families. Goose 2.0 still uses all the traditional tools of the storytelling trade; rhymes, songs, puppets, musical instruments and felt boards, but it also uses age appropriate, high-quality digital media, and models healthy media behaviors and joint media engagement. Dr. Betsy Diamant-Cohen, creator of Mother Goose on the Loose®, holds an MLS from Rutgers University and a Doctorate in Communications Design from the University of Baltimore. In 2004, Library Journal named Betsy as one of 50 “Movers and Shakers” in the library world, largely for her Mother Goose on the Loose early literacy program. A prolific author of books and journal articles for children’s librarians, Betsy has worked in public libraries and children’s museums in the US and abroad for more than 25 years. She presents training workshops around the county, offers courses through Simmons College and the Ontario Library Association, and has spoken at numerous conferences. Cen is the founder at LittleeLit.com and Library Manager at Bookboard.com. She has driven a bookmobile, managed branch libraries, developed innovative programs for babies, young children and teens, and now helps other libraries incorporate digital media into their early literacy programming. She attended the California State Library’s Eureka Leadership Institute in 2008 and now serves on the Association for Library Services to Children’s Children & Technology committee. 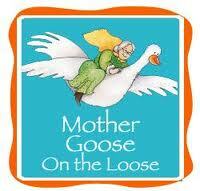 Posted on April 12, 2013, in collaboration, conferences, partnerships and tagged Betsy Diamant-Cohen, Goose 2.0, MGOL, Mother Goose on the Loose. Bookmark the permalink. 6 Comments. Hi Wally! It was with you guys! I was based in Kentville and after I got my airbrakes license, I got to drive the bus a few times with Peter…. which was a bit of a scary prospect for all involved. I left quite soon after (2007?) so never got really good at manhandling that beast. Angela and I are still in contact (she blogs here, too! ), and every now and then I see what Louise is up to on Facebook.